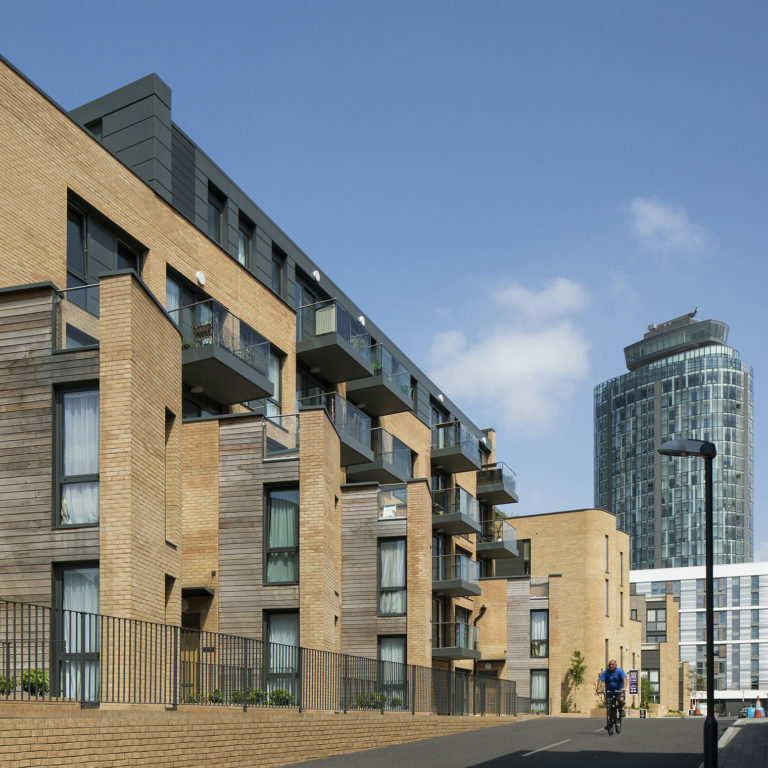 Completing the first phase of the Alfa Laval masterplan in Brentford, the 69 new townhouses and apartments line a new street, Baltic Avenue, linking to and complementing the masterplan’s future phases and our neighbouring Great West Quarter development. 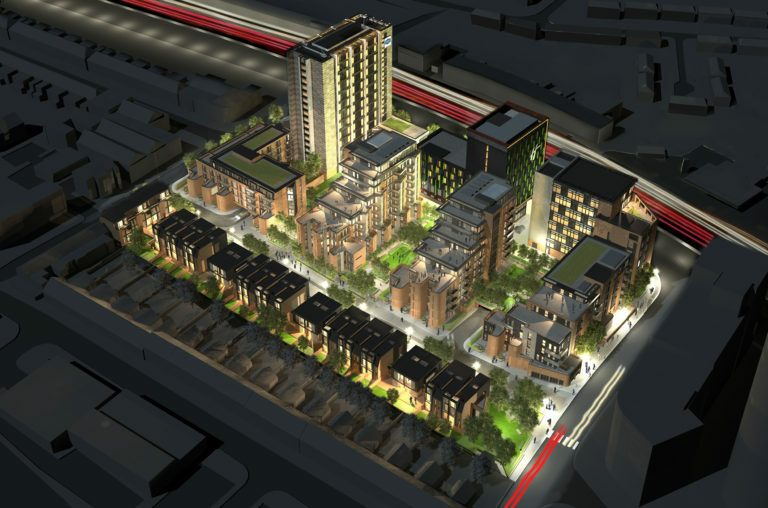 As a whole, Assael’s masterplan was approved in 2009 and includes hotels, offices, community facilities and 206 private and affordable homes. 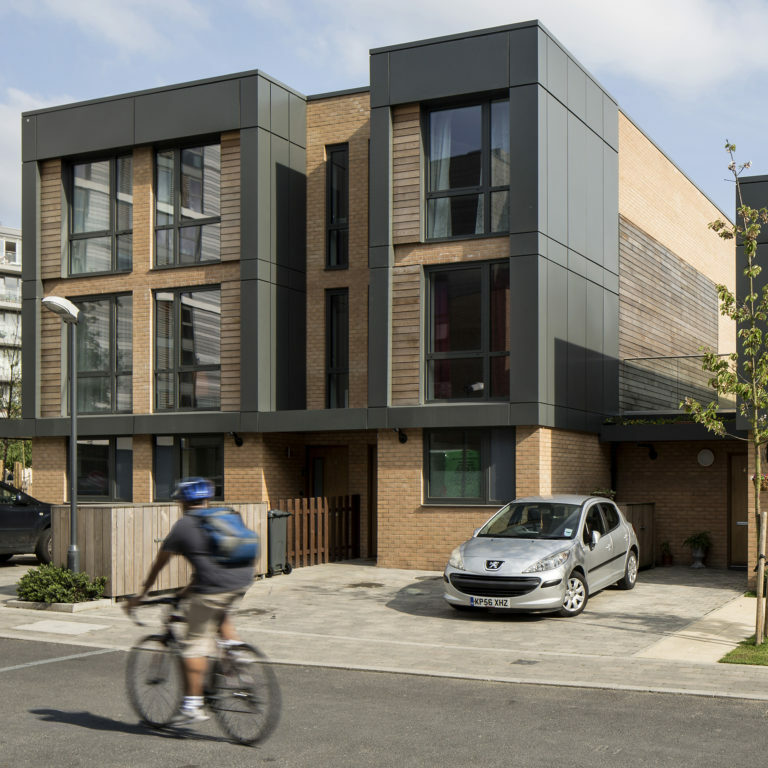 The site was subsequently separated into land parcels; Phase one, located to the south of the site away from the busy road and sheltered by the taller elements, provides much of the development’s affordable housing. 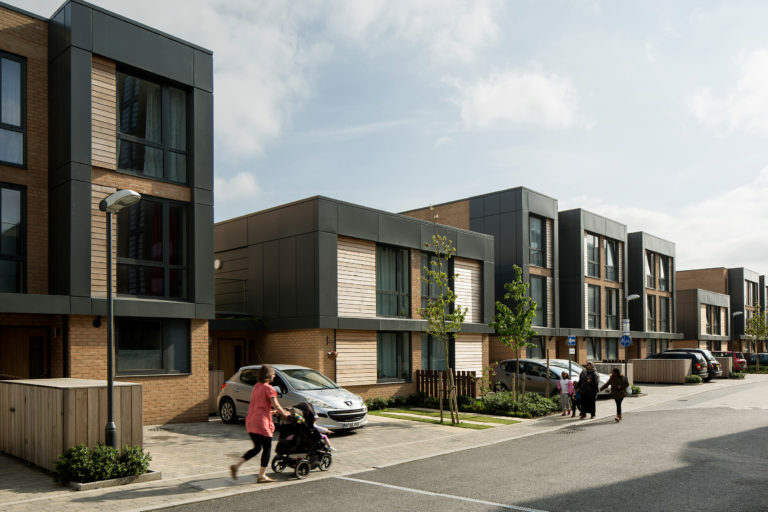 The new homes, 61 of which are affordable, include a large proportion of three-bedroom duplexes and four-bed townhouses, designed with families in mind with direct street access and private gardens. Additionally, communal landscaped courtyards and a pocket park tie into the masterplan’s ‘green corridor’ strategy to create an animated and sustainable environment.